You've waited 25 years for this, and now it's finally time -- for THE BODYGUARD Movie Party. Screenwriter Lawrence Kasdan initially wrote THE BODYGUARD back in the 1970s as a vehicle for Steve McQueen and Diana Ross, so he must have been frustrated when it took almost 20 years to reach the big screen. 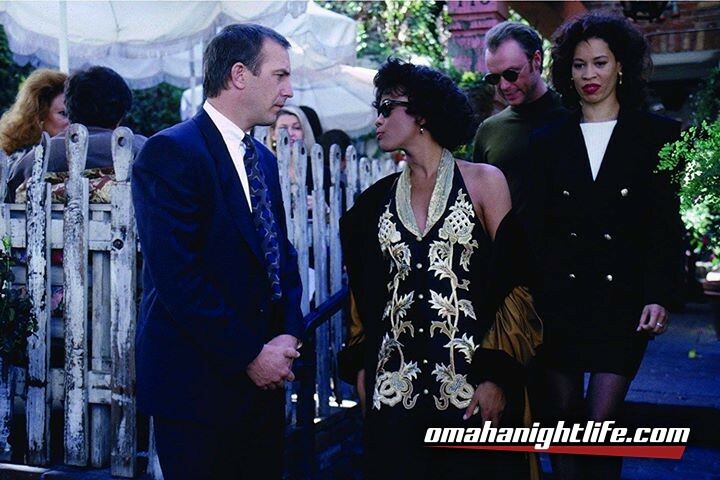 Audiences, however, couldn't get enough of the 1992 romantic thriller, which paired the then red-hot Kevin Costner with the reigning queen of R&B, Whitney Houston. Fueled by a stunning soundtrack featuring Houston's no-holds-barred take on Dolly Parton's "I Will Always Love You," THE BODYGUARD became a box office scorcher. No wonder. The chemistry between Costner and Houston is fun to watch, the early '90s fashions are New Jack Swingin' and the music is still the sweetest kind of ear candy. So grab your inflatable samurai sword, throw that "scarf" in the air, crash the Academy Awards and prepare to feel like the Queen of the Night for one night.